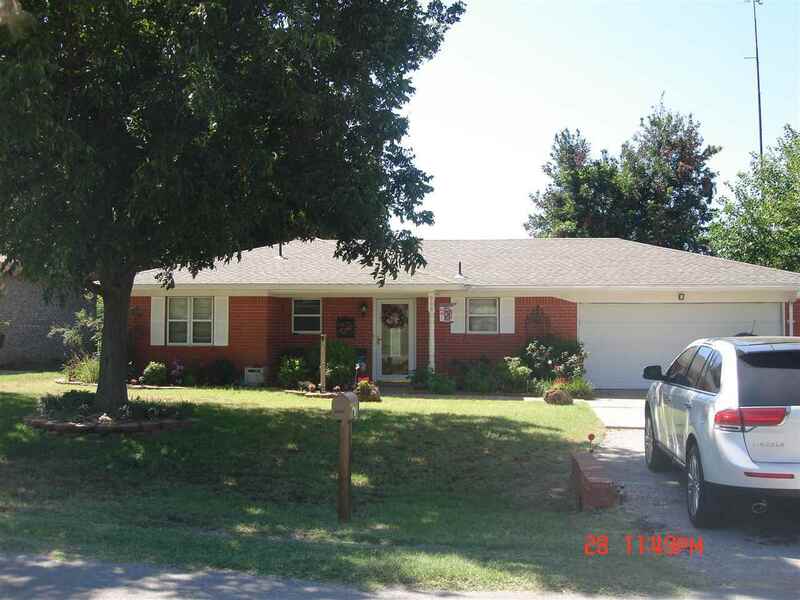 Well maintained Home, New flooring, New paint, Large laundry room, updated kitchen. Large den has gas vent-less fireplace, ceiling fans and lights w/remote, French doors open to the large patio, with walkway to, pool and hot tub with beautiful landscaping, garden pond, 2 pecan trees, 2 plum trees, storm cellar, 10 x 16 shed w/electric, trailer parking on alley side of fence. Garage has gas heat, cabinets and sink, workbench with cabinets above, ceiling fan and attic fan.